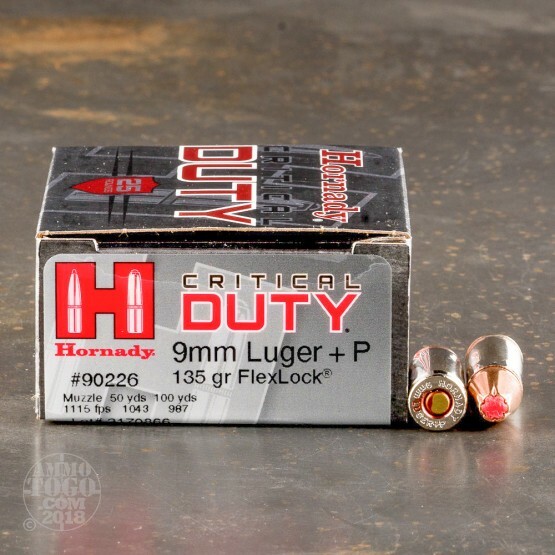 Quality, consistency, and accuracy are hallmarks of Hornady’s high-performance ammunition. 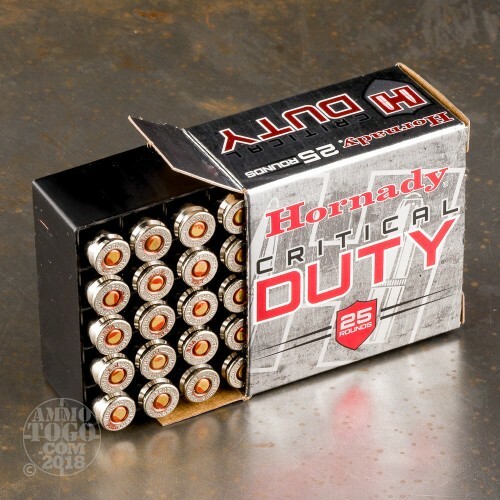 A great option for law enforcement, tactical professionals, and personal defense, Hornady’s Critical Duty line combines two revolutionary design features to deliver superior performance and increased barrier penetration. Each Hornady Critical Duty 9mm Luger (9x19 Parabellum) cartridge features a 135 grain jacketed hollow point (JHP) projectile. 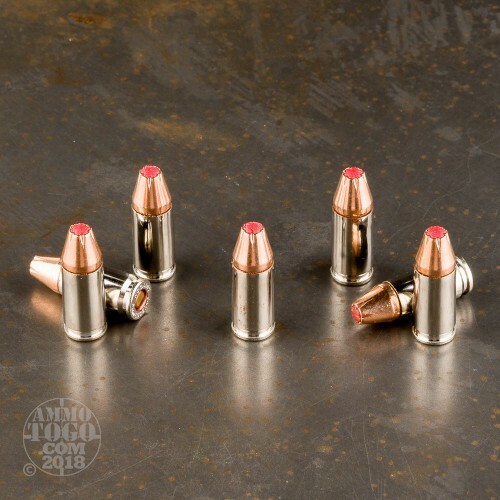 Each bullet is engineered with Hornady’s FlexLock technology, using a patented polymer flex tip to prevent hollow point clogging as it moves through tough urban barriers. These rounds also feature a unique Interlock band designed to prevent jacket-core separation. The result is near 100 percent weight retention and superior terminal performance through all FBI test barriers. This ammunition is factory fresh, non-corrosive, boxer primed, and features reloadable nickel-plated brass cases. Cartridges are treated with a waterproof sealant on the neck opening and primer pocket to eliminate jamming and dangerous misfires. Each round produces a consistent muzzle velocity of 1110 feet per second and a muzzle energy of 369 foot pounds. This is +P overpressure ammunition and should only be used in firearms designed to handle higher pressure levels. 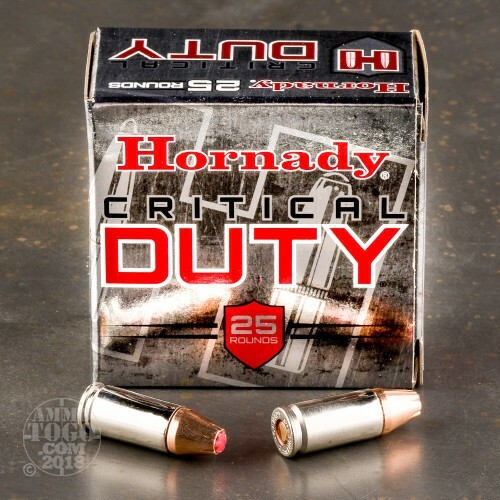 I've been using Hornady Critical Duty 135 gr +P for over 10 years in my Sig and have never had any issues. This in my opinion the best ammo for self defense. You can't put a price on reliable performance. This is most definately the ammo you want to have when personal safety is involved.